Parparellu | Restaurants of the World Unite! Mrs Del Monte and I stopped in at Parparellu (http://www.parparellu.com/) yesterday for a spot of lunch. 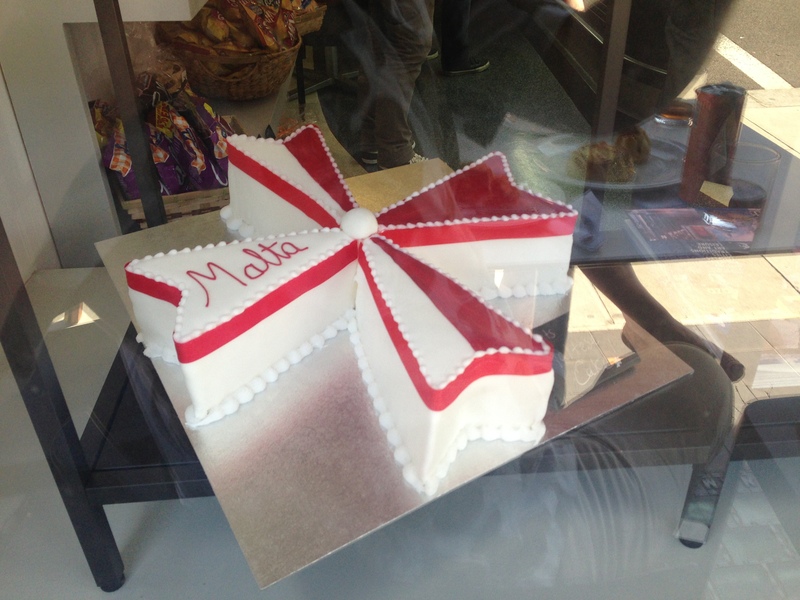 It is London’s first and only Maltese café and I for one was surprised to discover how many unique Maltese dishes were on offer. Eschewing the Cisk beer (What am I? An alcoholic?) we went for the Kinnie, a bitter sweet carbonated orange drink with other herbs stuffed in there and was reminiscent of Aperol. 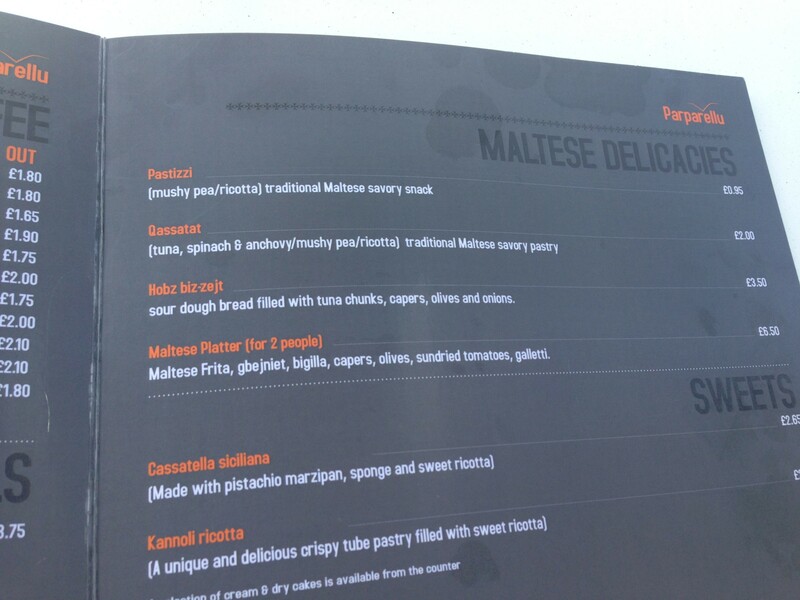 The food was heavily pastry based: Qassatats – open savoury pies; Pastizzi – closed savoury pastries; Timpana – a crusty pie with a pasta filling. That’s right, a pie with pasta in. Just in case there weren’t enough carbs for you. I’ve always sniggered at those places where you can order lasagne with chips, archly stamping my cultural superiority with some biting witticism along the lines of “What’s next? Carbonara with … a baked potato.” But apparently it’s not so far from the mark. They were all tasty enough, if in need of some more seasoning. 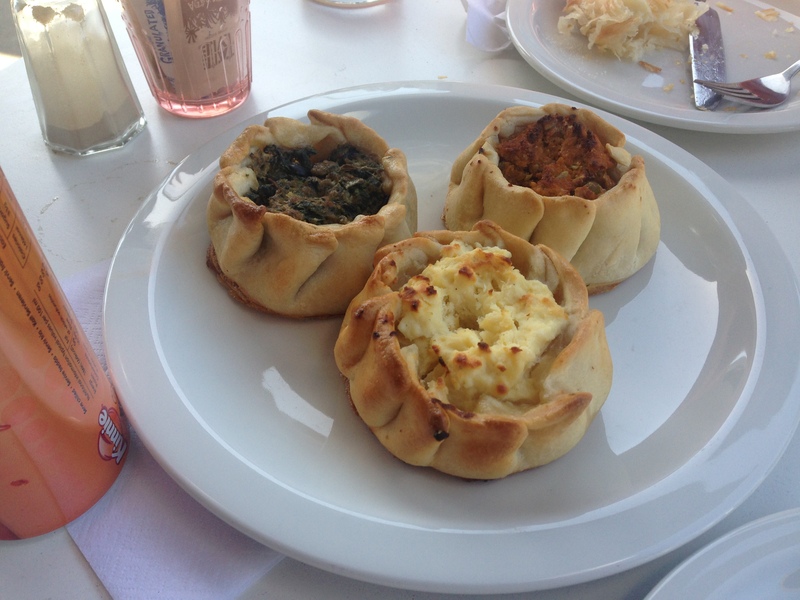 The highlight was the Spinach and Anchovy Qassatat, which also featured black olives. Mixing olives with spinach is a smart thing to do. Side note: Qassatat happens to be the intergalactic currency used by Duke Starblaster and his wacky robot companions in the unfinished novelisation of a dream I had when I was thirty-four eleven. How do you make a Maltese Cross? With eggs, flour and sugar apparently. 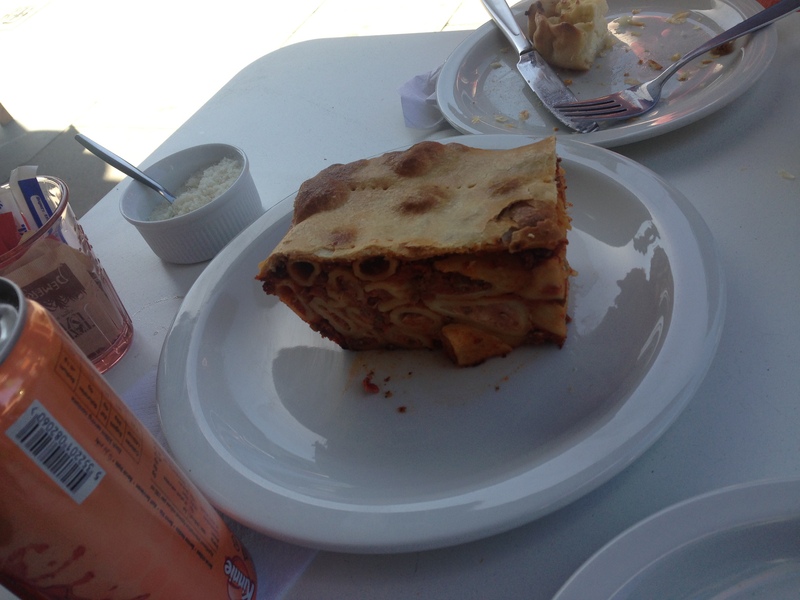 There’s something about the Timpana which reminds me of a dissected organ.